TRAINERS, riders and owners are always on the quest to maximise their horse’s performance no matter what discipline. There are supplements on the market to treat just about everything. Products to aid digestion and help cure gastric ulcers have become increasingly popular. However, concerns are growing over knowing exactly what is in each supplement. Horse Flax Oil is produced in Northern Ireland and is 100% natural. It was developed to help aid hind gut action. Horse Flax Oil has proved to be very effective treating gastric ulcers. A number of top riders and trainers have seen huge improvements in the physical health of their horses since they started feeding Horse Flax Oil. They also noticed an improvement in the horse’s attitude and way of going. Horse Flax Oil does not require any withdrawal period for horses to be clear to compete or race. Blood tests have been carried out on horses on the supplement and they have all passed. 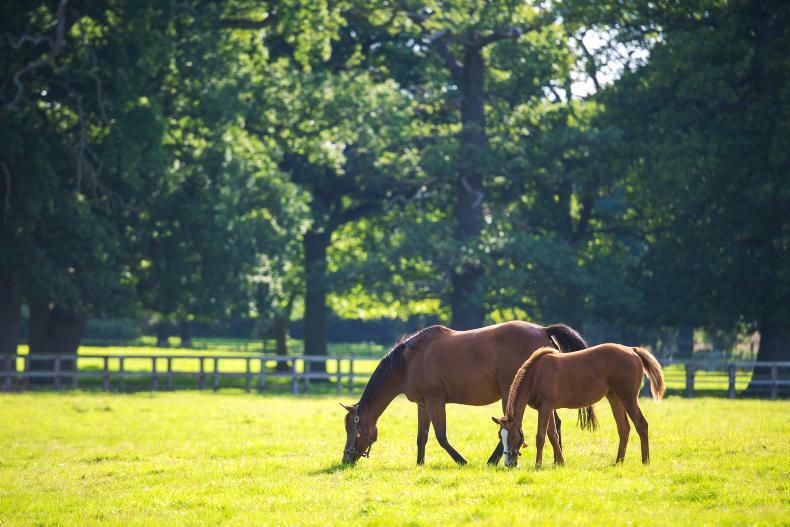 A microbiology report on Flaxeen Plus conducted by the Irish Equine Centre earlier this year showed that horses on the product tested negative for nsaids/analgesics, sedatives, corticosteroids, steroids and growth promoters. Jim Magill, founder of Horse Flax Oil, has researched flax seed for over five years. He now offers a range of different flax seed products. Magill has always been very interested in feeding horses and keeping things as natural as possible. The concept behind Horse Feed Seed Oil is that it aids the natural healing process and does not have knock-on effects. Cold Pressed Horse Flax Oil is the original product developed at Mount Mills. It is rich in Omega 3 and is suitable for use on all types of horses, including broodmares, stallions and high performance horses. The product is made of 100% unrefined cold press flax oil. Horse Flax Oil also promotes good bacteria. 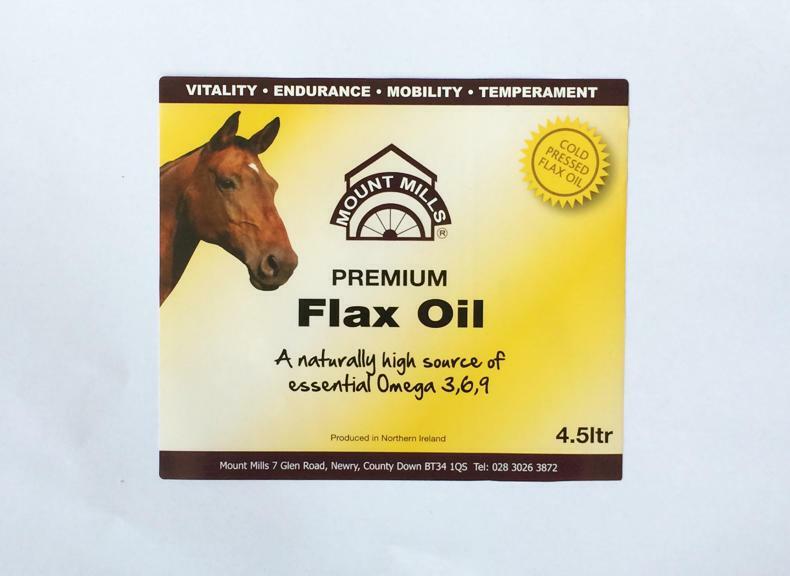 Cold Pressed Horse Flax Oil costs €3 a day to feed and is available in a 20 litre drum – this is the most cost effective way of buying the product. It is also available in a 4.5 litre tub. Flaxeen-X is a blend of natural minerals, vitamins and amino acids. The third product in the current Mount Mills range is Flaxeen Gastric Plus. It is made from a combination of marine algae, yeasts, natural minerals, vitamins and amino acids. Products can be ordered directly from the Mount Mills website with free delivery. Magill has spent years experimenting with different crops, including marigold and hemp, before deciding on flaxseed. He decided on flaxseed because it produces the best balance of Omega 3 and Omega 6 oil. Horses require a balance of essential fatty acids (EFA) Omega 3 and Omega 6 to function at optimal level. However, horses are unable to produce these fats in their body – they must be consumed. Therefore, they are an essential part of their diet. Omega 3 is known as alpha linolenic acid (ALA) which is converted by the body into eicosapentaenoic acid (EPA), this is then metabolized to docosahexaenoic acid (DHA). Omega 3 is a natural anti-inflammatory. How the flaxseed is treated once it is harvested is very important. Omega 3 is the most delicate Omega oil and can be easily destroyed while during extraction from the flax seed. Omega 3 is sensitive to oxygen, light and temperature. This means it can be reduced during processing the flax oil if it involves heating or mixing with other chemicals. 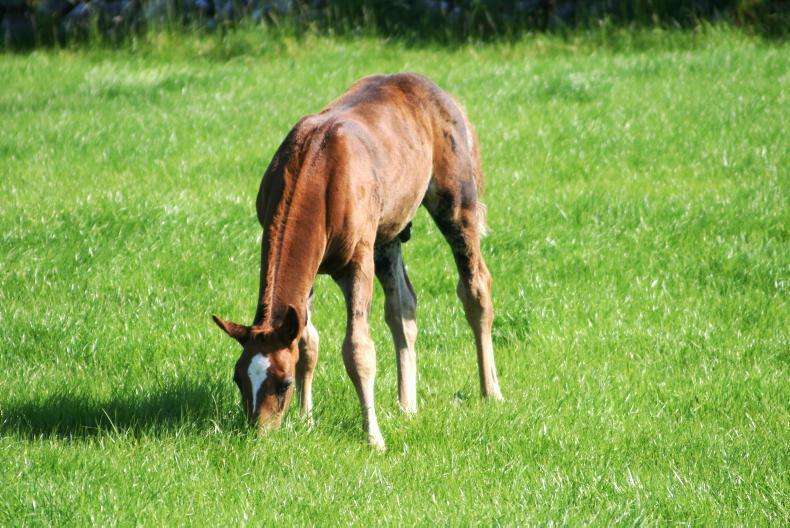 A study conducted in June of this year by the Irish Equine Centre showed that horses who were fed the recommended dosage of Flaxeen Gastric had a significant reduction in squamous ulcers. The study consisted of assessing 16 horses who were in training with John Ryan in Co Tipperary. Eight were fed Flaxeen Gastric for one month and another eight were used as a control group. 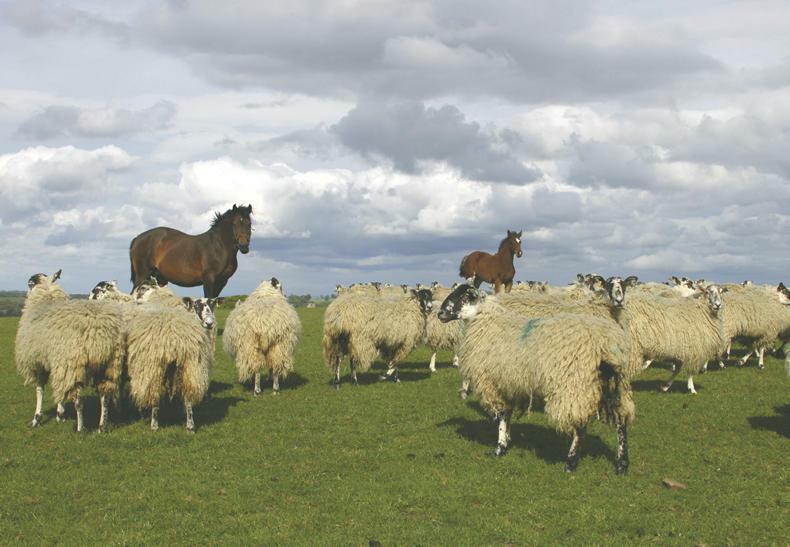 All 16 horses stayed in full training for the duration of the study. Every horse was given a health check at the start of the study. The check included a gastroscopy, body score, soundness trot up, general health blood test, gut flora assessment and faecal egg count. This same health check was repeated after one month. None of the horses in the assessment were allowed to be treated with any other ulcer treatment. Of the eight horses being fed Flaxeen Gastric all bar two had ulcers in the first health check. The scoring system used rated the severity of the ulcers from 0-5. Three of the horses scored four or five out of five on their initial health checks. All three of these horses scored zero, showing no ulcers, after one month of being fed Flaxeen Gastric. The report also stated: “All of the animals which were supplemented with Flaxeen Gastric had improved in terms of body scores and overall appearance. This was confirmed by both the veterinary surgeon and the trainer of these race horses. “Six of the eight test animals showed an improvement in overall appetite on completion of the assessment. The trainer has noted that any of the animals receiving supplementation had improved in terms of a reduction in windsucking, weaving and box walking. Blood tests were taken at the beginning and end of the study. The results showed there was no evidence of infection both pre and post supplementation. However, the results did show that seven of the eight horses who were fed Flaxeen Gastric showed an increase in blood iron levels in comparison four of the eight in the control group of horses. A gut flora assessment was conducted on each of the horses. The report stated: “All samples contained consistently healthy growths of the beneficial bacteria considered when assessing gut flora. For the purpose of this trial the only significant bacteria which showed change of note was E.coli. Dermot Lennon, world champion show jumper: “Since I have started using Mount Mills Cold Pressed Flax Oil I have found my horses are supple, moving better, are recovering faster after work and competition with less soreness and stiffness.